BOS/LHR - frequencies increased to triple daily nonstop flights from double daily. BOS/CDG - new daily nonstop flights to be flown for the summer season only using a B 763ER. This new flight allows excellent connections with its interline partners such as GF/EY/EK/QR as the flight arrives into CDG at 735am and departs at 130pm on the same day. ORD/BRU - capacity increased from daily B 763ER to daily B 772ER. Singapore Airlines has confirmed that it will be starting new flights to KWI-Kuwait which will be flown via AUH-Abu Dhabi using a B 772A four times a week. This will be in effect from March 15th and SQ will not have 5th freedom rights on the AUH-KWI-AUH sector. With regards to Cairo, all nonstop flights will be suspended and instead, the route will be flown via Dubai 4 times a week using a B 772A. Delta Airlines has officially confirmed that it will be launching new flights to Sydney, Australia and Sao Paulo, Brazil both flown nonstop from LAX from next year. SYD will be flown daily from ATL via LAX nonstop using a B 772LR effective July 1st 09. With regards to GRU, it will also be flown nonstop from LAX but only 3 times a week using a B 763ER. DL also revealed that as a result of its merger with NW, it will be adjusting capacity to NRT from June 09. Instead of A 332s being used for PDX, HNL and Guam to NRT, a B 763ER instead will be deployed. Lastly, a new daily nonstop flight from JFK to NRT will be launched using a B 772ER. As far as its European schedules for summer 09 is concerned, DL will be launching new 6 weekly Detroit-Rome nonstop flights using an A 330-300 effective June 4th 09. CMB - frequencies increased to 15 times a week. 773 via BKK + daily A 332 nonstop. KIX - capacity increased from daily A 345 to daily B 772LR. DAR - capacity increased from daily A 332 to daily B 773ER. DOH - frequencies increased from 4 daily to 32 weekly. BEY - frequencies increased from double daily to 17 weekly flights. TRV - frequencies increased from 8 to 10 times a week. MUC - capacity reduced to daily A 332s + daily A 343s from daily B 773ERs + daily A 343s. THR - frequencies increased from 19 times a week to triple daily i.e. double daily A 332s + daily B 773ER. CMN - capacity increased from daily A 343 to daily B 773ER. PER - capacity increased to daily B 773ER + daily A 345 from daily B 772LR + daily A 345. MLE - frequencies increased from 9 to 11 times a week. AMM - frequencies increased from 12 weekly to double daily. SAH - frequencies increased from 6 weekly to daily. TIP - capacity increased to daily terminator flights using an A 332. TUN - capacity increased to daily terminator flights using an A 332. KWI - frequencies increased from 26 weekly to 4 daily flights. JNB - 3rd daily nonstop flight reinstated. TRV - frequencies increased from 10 to 12 times a week effective Dec 1st..
MAA - frequencies increased from 19 weekly to triple daily effective Dec 1st. AMD - frequencies increased from 8 weekly to double daily. FCO - capacity increased from daily B 773ER to daily A 380s effective Dec 1st. ACC/ABJ - capacity increased from daily A 343 to daily B 773ER effective Dec 1st..
NBO - frequencies increased to double daily from 12 weekly effective Dec 1st. CCU - frequencies increased from daily to 11 weekly effective Dec 1st. SYD - frequencies increased to triple daily effective Dec 1st i.e. daily A 380 + daily B 773ER via BKK + daily A 345 effective Dec 1st. BKK - frequencies increased from triple daily to 4 daily flights using a B 777-300 (ER and non ER versions) for all flights effective Dec 1st. DOH - frequencies increased from 32 weekly to 5 daily effective Dec 1st. CCJ - frequencies increased from 6 weekly to 11 weekly effective Dec 1st. FRA/LAX - capacity reduced from double daily B 744s to daily A 346 + daily B 744. FRA/DTW - capacity reduced from daily B 744s to daily A 333s. FRA/CCS - capacity increased from daily A 343 to daily A 346. FRA/MAA - capacity reduced from daily B 744s to daily A 343s. FRA/IKA - capacity increased from daily A 343 to daily A 346. FRA/JED - frequencies increased to daily flights. FRA/RUH - frequencies increased to daily flights. FRA/MCT - frequencies increased to daily flights i.e. 4 times via BAH + 3 times via AUH. FRA/LOS-ACC - maintains daily A 346 services. FRA/GYD (Baku) - frequencies increased from 3 to 4 weekly flights using an A 333. FRA/ADD - gets 3 weekly nonstop flights which are extended to Sanaa (SAH). 744s daily + 3 weekly A 343. FRA/BOS - capacity increased to daily B 744 + 2 weekly A 333 + 5 weekly A 343. MUC/EWR - capacity increased from daily A 333 to daily A 346. MUC/BOM - frequencies increased from 5 weekly to daily nonstop flights using an A 333. Turkish Airlines has announced the destinations that its fleet of ex 9W B 773ERs will be used on. They are London Heathrow, Hong Kong and Singapore only. To SIN, 3 of the 4 weekly flights will be flown using the B 773ER where as the fourth flight will see an A 332. To HKG, all 4 weekly flights will get the capacity upgrade from an A 343 to a B 773ER. Lastly, with regards to Heathrow, it will see a daily B 773ER being used on TK 1979/1980. LOS - frequencies increased from 11 weekly to double daily. CDG - frequencies increased from 3 to 4 times a week. BKK - frequencies increased from 6 weekly to daily. ADD - frequencies increased from 5 to 7 weekly flights i.e. on some days its double! KGL - frequencies increased from double daily to triple daily. DKR - frequencies increased from 3 to 5 times a week. Swiss has revealed that if its financial health improves during 2009, then it plans to launch new nonstop flights to Abu Dhabi, Beijing and San Francisco. AUH will see an A 332 and nonstop flights from ZRH where as PEK and SFO will see flights operated also nonstop but using an A 340-300. I would suggest that LX seriously look at launching flights to IAH before PEK. IAH-ZRH can easily be flown with an A 332 nonstop and has a lot of potential due to it being a CO hub + LX serves all the major oil markets in Africa and the Middle East nonstop from ZRH. As promised earlier on, here is a detailed report that I have managed to compile concerning how Air India should restructure its North American operations from India with a scissors hub like strategy at a key European airport. For each route, intense research concerning market trends, traffic patterns have been analyzed hence the particular routing and choice of aircraft has been chosen for which adequate reasoning is provided. Please keep in mind that my EU hub plan revolves around AI's fleet of B 773ERs and the B 788 complimenting it on certain routes. Enjoy reading! Currently, AI's hubs for North American flights are at LHR and FRA. Both these airports are flooded with excess capacity, intense competition and lack of favorable timing slots that could accommodate further expansion possibilities for the airline to explore. LHR can never be made into a "scissors hub" due to lack of slots available at times that AI would like and it is anyways a market segment that can easily support O&D nonstop terminator flights to BOM and DEL respectively without the need to add a tag on sector to North America. There are rumors flirting around that AI is seriously contemplating making FRA or MUC its EU hub for onward flights to North America because of its strong Star Alliance presence that is evident at both airports. Though this idea might sound good on paper, it doesn't make any sense commercially. The main reasons for this are as follows: a) Both FRA and MUC lack O&D traffic from India and already LH flies to all major Indian cities nonstop from FRA and to BOM/DEL from MUC. b) An effective "hub" for an Indian carrier needs to be an European city that has a combination of decent O&D traffic from India + decent amount of trans-atlantic traffic + adequate Star Alliance presence + adequate cargo demand on India-Europe and Europe-North America routes and most of all little or no direct competition on India-Europe hub + Europe hub-North America flight sectors. Keeping in mind the points mentioned in this paragraph, both FRA and MUC fail to meet the criteria in most departments. c) Trans-atlantic competition from FRA and MUC is huge with LH-UA-AC-US-CO-AA-DL all being fierce rivals striving for some sort of market share. Compared against these behemoth carriers, Air India has very little chance of getting even 30 passengers on board its flights from Germany to USA/Canada on a daily basis due to lack of brand awareness and marketing especially from MUC. d) AI's trans-atlantic flights from FRA/MUC to USA/YYZ would be code shared with LH/UA/AC/CO and under the current code share arrangement that AI has with LH it is a relationship that is extremely one sided i.e. full in favor for LH and hardly anything in return for AI particularly when it comes to gaining inventory seat access on their respective Germany-India flights. The main problems concern the nonstop flights to JFK and the EWR flight routed via Heathrow. With regards to the nonstop flights, they should not have been flown to JFK because the NYC-BOM/DEL market is already over crowded and instead nonstop flights to STAR hubs in USA should have been flown to nonstop such as DEL-IAD, BOM-ORD or to EWR. Both IAD and ORD routes too see no nonstop flights on those particular sectors. Unfortunately for Air India, it doesn't have the "premium brand name recognition" that other airlines such as EK/BA/LH/AF/CX/SQ/JL/QF have that would warrant a First Class cabin being installed on board its flights. They should look and see for themselves how unsuccessful 9W were getting revenue paying passengers on board their SFO and EWR flights in the first class cabin and see that it is totally unjustified. A majority of AI passengers in the first class are "free upgrades" due to their respective connections within the airline or through their importance in India politically, economically or socially. The installment of the F class cabin on board its B 772LR fleet in particular is a hindrance because it reduces the number of seats on board to a meager 236 only which is too small for such an aircraft. If the first class cabin is removed, 27 more economy class seats can easily be added thus adding to the revenue generation of the flight. The Boeing 787-800 is officially designed to hold 220 passengers in a standard 3 class configuration. According to many sources, Air India plans to configure its B 788s with 225 seats in a 2 class configuration i.e. business and economy which is perfect. However, it must ensure that the in-flight in seat product in both business and economy class are of the same standard that is offered on their new B 773ER and B 772LR fleet. This means all business class seats have to have a fully reclinable flat bed and the economy class seat should have a 35 inch seat pitch along with an in seat massage. By having a standardized in flight product across its long haul fleet which will last for a decade and a half at least, it will be appreciated by its passengers and will not result in their dissatisfaction which is currently the problem as to EWR/YYZ, AI uses its old B 744s/B 772s with the old inflight product where as to JFK its with a newer aircraft with a more modern product on offer. a) Manchester is the second largest city in the UK and also its second highest premium market after London. The city and its greater sub-urban areas have a total population of approximately 150,000 Indians. However, the total population of the number of immigrant Indians residing in the UK Midlands and Northern England area all of which are within a 2 hour driving radius of Manchester Airport (including BHX-Birmingham) numbers over 450,000.
b) Ever since Air India suspended its flights to Manchester approximately 15 years ago, no airline has yet to launch nonstop direct flights from Manchester to India where passenger and cargo demand for a nonstop link definitely does exist. The biggest India markets from MAN are to BOM/DEL/ATQ and AMD respectively. c) Currently, passengers from MAN fly to India using either Emirates, Qatar Airways, E2tihad Airways, British Airways, Air France, KLM or Lufthansa via their respective hubs which at times can prove to be hassle some. For nonstop flights, passengers and air cargo agents will not mind paying a small premium for the convenience that it provides them with. d) If Air India chooses MAN as its UK hub airport, it will have a monopoly strong hold on MAN-India and certain MAN-North America nonstop routes for which it can dictate pricing due to this enviable position of theirs which can definitely help increase passenger and cargo revenue yield; hence a key factor for them to seriously consider. e) Air India too would hold a monopoly on the trans-atlantic sectors for "scheduled flights" flown from MAN to cities such as LAX/YYZ/SFO/IAH/IAD. On these routes, no airline flies nonstop scheduled daily or weekly flights which provides Air India with an extra incentive to fly them as UA/AC/CO will definitely want to have a code share on these routes thus providing AI with value able marketing tools and feeder business / leisure traffic. f) With regards to air cargo, Manchester is located in the industrial heart land of the UK where over 70% of England's industrial output originates from. If Air India can sign a deal with a well established cargo trucking company from MAN airport that can forward its freight to the markets of EMA/BHX/NCL/LBA, it can make a lot of money as all these cities are within a 2 hour driving radius of Manchester Airport. FYI, Ahmedabad-AMD in India is known as the "Manchester of the East". g) As for Star Alliance's presence at MAN airport, all of them fly multiple daily flights to their hubs at various times of the day. Star carriers that fly into MAN are LX/LH/SK/SN/OS and BMI. If Air India gets a code sharing agreement in place for destinations such as CPH/ZRH/BRU/LIS/MUC/FRA with SAS/LX/LH/SN/TP, it can get a fair amount of 6th freedom traffic on its planes from USA/India via MAN to these destinations. Apart from the reasons mentioned in the previous sub-topic, there is also a great deal of corporate traffic to be tapped out of MAN as its the second largest corporate air travel market in the UK after London. It is the commercial, cultural and educational hub for the Midlands and Northern UK region. In MAN, over 15,000 people are employed in the banking/financial institutions which number over 50 in the city. It has the second largest "office market" in the UK after London, 65 of the top 100 companies on the FTSE (London Stock Exchange) are located in the city, it is the home of 2 world famous soccer teams as well as Lancashire county cricket club which are all head quartered at Old Trafford. If AI can also develop BOM or DEL into an effective hub, it can get a fair amount of 6th freedom traffic bound to BKK/ICN/NRT/HKG/SIN/KUL via BOM or DEL hence allowing them to diversify their passenger base rather than being entirely reliant upon O&D traffic! As you can see from the schedule that I have created above, all North American flights would connect with every single major Indian city in both directions via MAN thus enabling an effective "scissors hub" to be created at MAN for Air India to seriously pursue. The transit time at MAN would range from 1 hour 20 minutes to 3 hours maximum depending on the destination. Approximately, the aircraft is on the ground in India and in MAN for 1-3 hours maximum which allows for a quick aircraft turn around rather than having it parked for 6-8 hours at a stretch. For certain routes such as BOM-MAN-ORD, DEL-MAN-JFK, BLR-MAN-IAH and HYD-MAN-IAD, I have purposely made it into a "same plane service" as that would be a good marketing gimmick to help sell the flights. Unfortunately, I didn't ask for an ATQ-MAN-YYZ same plane service because the fog season in ATQ (Dec-Feb) would ruin the flight timings during that period thus in-convening passengers. On certain trans-atlantic routes with AI's entry into Star Alliance, it should hopefully get a code sharing agreement in place with CO for MAN-IAH/EWR, AC for MAN-YYZ and with UA for MAN-LAX/SFO/ORD/IAD. FYI, CO only flies MAN-EWR double daily where as from IAH it doesnt and UA/AC dont fly to MAN at all so this is an area where some form of extra revenue can be generated by AI. UA along with AC too could code share on AI's MAN-India flights in the same way they do via FRA/ZRH with LH/LX. AMD and ATQ operations are currently the gold mine of the Air India long haul international route network because they serve a large niche market both in the UK and USA/YYZ which lack convenient flights into the city. AMD though has now got QR and EK but from UK and JFK/YYZ/IAD/UK only where as at ATQ has no direct competitor to the UK and North America. The very fact that AMD is included on the EWR flight path is arguably the biggest reason for AI's EWR operation being the most profitable in North America consistently for the past 4 years. Gujratis now are tired of having to change planes and terminals at BOM or DEL to reach AMD and would pay extra money to fly directly into their hometown airport from NYC either on AI, EK or QR. Between the area of BHX and MAN resides the world's largest expat Sikh community. An approximate 250,000 Sikhs reside in this region and their main Indian gateway airports are either ATQ or DEL. In the past, AI has been mildly successful with its ATQ-BHX flights catering specifically towards the traffic needs of this community. What AI needs to do to recapture the Sikhs residing in BHX/EMA/LBA to fly them from MAN is to offer free bus services from the airports from those cities or a downtown location to MAN airport nonstop so that passengers don't have to in-convene themselves by driving 2 hours to get to MAN from where ever they are located. For both ATQ and AMD, flying a dedicated terminator flight using a 225 seater Boeing 787-800 is more than enough to meet the passenger and cargo demand needs of both market segments. Why is a B 788 being chosen to fly BLR-MAN and not B 773ER? Quite simply put, the BLR market may be high yielding and filled with premium passengers bound to UK and USA but that's not the case with the economy class cabin. BLR now has an over capacity of some sorts with all major Asian, Arab and European airlines now flying daily or at least 4-5 times a week into the city nonstop from their respective hubs. But the bottom line is that its catchment market size is not big enough as DEL/BOM to warrant a 350 seater B 773ER being used to fly from there. The 225 seater B 788 is the ideal aircraft size to be used to MAN from BLR to feed it with passengers arriving bound to/from UK/Western Europe/USA and Canada. Yes they do. California-India traffic is high volume and has a lot of corporate high yielding traffic. There are nearly 500,000 Indians residing in the state alone and with having an effective hub at MAN which will connect to all major Indian cities, both SFO and LAX stand a good chance of doing well. AI also needs a minimum of daily flights into both these markets to compete effectively against EK/BA/CX/SQ/CI/LH/CO/DL/AA who also have daily flights to India via their respective hubs. From LAX/SFO as well, AI can pick up some useful 5th freedom traffic bound to MAN/Northern England. YYZ warrants a daily flight using a B 788 and not a B 773ER because its market dynamics are different than that from the U.S. Its airport landing/ground handling costs are much higher, traffic is lower yielding and the market is largely bound to DEL/BOM/ATQ and not as wide spread as the LAX/SFO-India market is. In the city, approximately 420,000 Indians reside so the demand is there year round to exploit as well as 5th freedom traffic especially in the peak summer season months to MAN. With regards to IAH, it has one of the largest concentrations of Indians residing in the U.S. numbering over 200,000. However, its a new market for an Indian carrier to venture into and hence the B 788 is the perfect size aircraft to launch services with to this part of the U.S.
As far as IAD is concerned, an approximate 150,000 reside in the IAD/BWI/RIC area. From IAD to DEL/BOM, there is a lot of high yielding political/diplomatic/business traffic that can be tapped into especially bound to DEL. For this market too, due to its smaller size compared to ORD/SFO/LAX/NYC, the B 788 is the perfect aircraft to use here. From IAD, a lot of feeder traffic bound to Florida, ATL, BOS and other regional catchment areas can be obtained through a code share/SPA with UA. 1. Sign a deal with popular online travel websites in the UK such as Expedia UK and Travelocity UK. These 2 websites along with Orbitz in USA will help sell a lot of trans-atlantic and a few USA/MAN-India tickets. 2. Sign a worldwide deal with AMEX, HRG and Carlson Wagonlit corporate travel agencies standardizing commission offerings to them to provide them an incentive to sell high yielding business and economy class fares on AI to/from MAN worldwide. A lot of potential exists here especially on trans-atlantic travel by employees of MAN based corporate insitutions. 3. Place a strong emphasis on cargo as that will generate a lot of revenue across the board. Each of AI's flights can carry between 10-14 tons of cargo depending if its a B 788 or B 773ER being used. 4. AI along with help from Tourism India should sign a deal with Thomas Cook and Thomson Holidays to sell tourism packages to India from the markets of Northern UK and the Midlands region. Though many might feel that MAN is too low yielding of a market for AI to pursue making into a hub compared to FRA/MUC which are already well established Star Alliance hub airports, the bottom line is that traffic demand from MAN and its surrounding areas to India is far higher than it is from FRA/MUC. With MAN being the hub, it allows AI to fly on routes route that witness very little direct competition across the board, not be entirely dependent upon USA/YYZ traffic to fill up their flights to/from India as there is good demand from BOM/DEL/ATQ/AMD especially to MAN thus allowing the carrier to diversify its revenue stream across different market segments to fill up their flights. At FRA/MUC, a big disadvantage can be slot timings and being at the mercy of being dictated to by LH/UA/AC on what it can and cannot do which wont sit well with the carrier's management board. It is better opening up a new market segment and creating a "fresh hub with fresh ideas" and adopt a new business model rather than stick with its 1980's O&D business model which has been a failure on its long haul sectors. I hope that this report was an interesting and compelling read. I'm sure that there are some who would disagree with me and some that would agree with me, so please do reply back with your feedback/comments/criticisms etc as they shall be welcomed. Lastly, if you know any Management level staff at Air India involved with route network planning, operations, fleet scheduling etc, please be kind enough to forward this email to them. YUL - frequencies increased from triple daily to 4 times daily during Summer 09 using double daily A 343s + daily B 744 + daily B 772ER. For Winter 09-10, it will be a triple daily operation instead of double daily using A 332 + A 343 + B 773ER each respectively. ATL - capacity increased for Summer 09 to daily B 744 from daily A 343. For winter 09-10, it will be using their premium B 772ERs instead of the usual A 343. IAH - double daily seasonal summer season flights reduced to 12 weekly i.e. daily B 773ER + 5 weekly A 332. 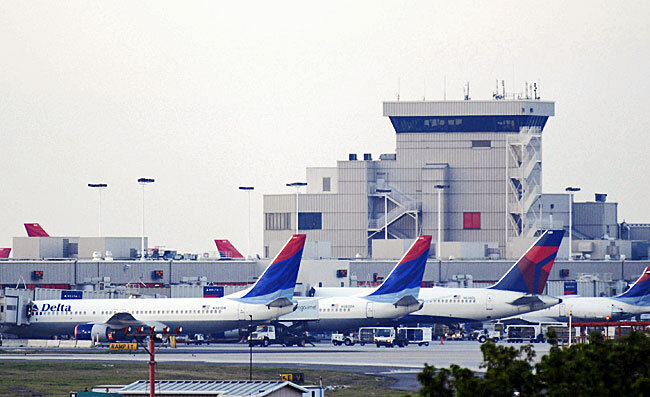 DTW - capacity increased from daily A 332 to daily B 772ER from June 2009. AF seems to be taking full advantage of the recently concluded EU-Canada open skies accord. This move seems to be designed to safe guarding their dominant position on the YUL-Africa, YUL-Europe and YUL-Middle East market segments as well hoping to increase it. Another reason is probably due to BEY-CDG being increased with an additional 4 weekly flights for which feeder traffic generated from YUL will be crucial to the success of this flight. a) Etihad can fly 43 times a week from AUH to 5 major Iranian cities. b) Emirates and Fly Dubai combined can operate 84 flights per week to Iran's major cities. c) Air Arabia of Sharjah can operate 49 weekly flights. d) RAK Airways of Ras Al Khaimah is allowed to operate 39 weekly flights. The major cities of Iran are designated as Tehran, Shiraz, Mashhad, Esfahan, Kish and Bandar Abbas. From the looks of it, the only thing not given to EK and EY was the unofficial designation as Iran's national carrier. Seriously, between them they are allowed to fly 127 flights per week which is absurdly high. To make matters less complicated, Iran should have instead signed an open skies treaty with UAE rather than go through all this hassle of designating frequency rights because the amount of flights allowed per UAE carrier is virtually like an open skies deal !!! The airline also revealed that for Summer 09, it will be reducing its flights to PVG-Shanghai from double daily to 12 weekly nonstop flights using Boeing 747-400 Combis for all operated services. With regards to its DFW-Dallas bound flights, between mid January 09 and late March, frequencies will be reduced to 4 weekly nonstop flights instead of 5 using A 332s for all services. KLM in YYC will definitely hurt LH more than AC. 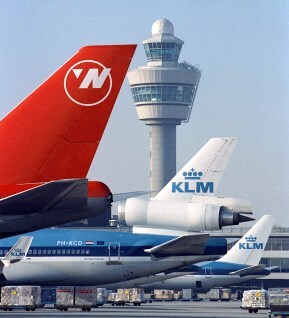 They will take away a size able chunk of LH's premium traffic with their lower J class fares, lower taxes and good connections via AMS to all the important oil destinations such as LOS-ACC-CAI-IKA-ALA-DXB. The reduction in frequency to PVG is a smart move as 12 weekly flights with a B 744 Combi is more than adequate in the current worldwide economic climate. Jet Airways has officially confirmed that it has wet leased 5 wide bodied aircraft to Turkish Airlines and Gulf Air respectively. To TK, 9W has wet leased 3 B 773ERs for 6 months where as to GF, it has wet leased 2 A 332s which are going to be used on BAH-BKK/CAI/BOM and BAH-KUL routes (already uploaded on major GDS systems as "333"). It is unclear yet as to where TK will be using these 286 seater planes on though all indications are that they will be initially used on IST-Far East Asia routes. Thai Airways will be suspending all its flights to JNB-Johannesburg, South Africa which are currently flown nonstop from Bangkok 3 times a week using an Airbus A 340-600. The suspension will be in effect from Jan 16th 09 as the airline undertakes a radical approach towards downsizing all un-profitable long haul flights which do not meet minimum yield and revenue expectations. American Airlines has confirmed that it will be launching new daily flights from Dallas (DFW) nonstop to MAD-Madrid, Spain effective May 1st 09 using a Boeing 767-300ER. The flight will be most likely code shared with Iberia as it connects two major One World hubs across the Atlantic. Austrian Airlines will be increasing capacity to New York JFK from the on set of the Summer 2009 timetable. Currently, it flies a daily B 767-300ER on this route, but from April 09 onwards it will be using the larger Boeing 777-200ER for the flight catering largely towards high summer seasonal demand. British Airways will be reducing capacity to YUL-Montreal between March 29th and June 30th 2009. Normally, year round service is flown nonstop using a Boeing 777-200ER, however during this period capacity will be reduced to a daily Boeing 767-300ER. With regards to its YYZ-Toronto operations for Winter 09-10, it will be increasing capacity to double daily B 772ERs compared to daily B 763ER + daily B 772ER this winter. MEL / HKG - frequencies reduced from 10 weekly to daily flights using a B 744. SYD / HKG - frequencies reduced from double daily to 11 weekly flights i.e. daily B 744 + 4 weekly A 333s. SYD / HNL - frequencies reduced from 4 to 3 weekly flights using a B 763ER. Two weeks ago, I had mentioned that I will be writing 3 reports during this month which included how SAA should restructure its entire fleet + why QR should launch DOH-ORD in 2009 and how to restructure Air India's North American operations. Due to receiving numerous requests to complete the QR DOH-ORD report first ahead of the rest, I have managed to compile an interesting study which I hope you all enjoy reading. Topic: Why Qatar Airways needs to launch Doha-Chicago in 2009? The B 773ER offers the best operational economics than any other QR aircraft for this long haul flight. It is much better suited for this route compared to the A 346 and B 772LR which have approximately 70-80 less seats each respectively + can carry 2 tons of more cargo. There is demand on this route for QR to justify using its largest aircraft as the forecasted passenger load factor according to me year round is easily 75% with a reasonable yield + 85% cargo load factor year round. Why have the above mentioned flight timings being chosen? A vast majority of QR's Indian Sub-continent-Doha flights arrive into DOH between 6am-8am hence allow a convenient 1-3 hour transit at DOH airport which is sufficient. Currently, the minimum connecting time at DOH airport is 35 minutes. Even flights from SIN/KUL/CGK/DPS arrive into DOH between 6-7am in the morning hence allowing those passengers too to easily connect with the DOH-ORD flight. With regards to flights departing DOH after 1930, all of its Indian subcontinent + Far East Asia flights connect with a 2-5 hour transit maximum where as flights bound for AUH/BAH/KWI/DXB connect within 1 hour. Overall, by looking at the good connections available to/from Doha, QR can easily rely upon 4 different market segments to help fill up their DOH-ORD flights i.e. GCC/Indian Subcontinent/Iran/Far East Asia which should definitely help yields too. Currently, only Turkish Airlines (TK) and Royal Jordanian (RJ) fly nonstop from the Middle East to ORD respectively on a daily and 4 weekly basis each respectively. TK will be using the A 332 on this route from Summer 09 and RJ continues to operate an A 342 on this sector. QR's nearest competitors i.e. EK/EY//GF/KU/SV/WY do not fly to ORD but EY and EK have definite plans to launch nonstop DXB/AUH-ORD flights in 2009 or 2010 on a daily basis. If QR want to gain a strong foothold in the ORD market, they have to launch this route before EK and EY do in order for its brand name to obtain a following and get decent yields in business and economy class. This is the most important factor for QR to seriously look at. They must have a pro-active approach when it comes to ORD rather than a re-active one similar to its IAH and Brazil flight planning which has hurt them from the on set aka the "Emirates factor"!!! ORD is home to a host of multi-cultural communities hailing from various Arab, Indo-Pak and Asian communities. There is enough VFR traffic from the greater Chicago area to fill up this flight as well as feeder traffic obtainable from other U.S. cities located within a 3 hour flying radius of ORD. Besides VFR traffic, there is a size able amount of high yielding business class, military + cargo traffic from ORD bound to DXB/KWI/DOH/BOM/DEL and SIN. With regards to the Pakistani community residing in ORD and its surrounding sub-urban areas, the population is estimated at 100,000 where as Indians number approximately 170,000 (including international students). These two community groups will obviously form the core of QR's passenger base in the economy class cabin due to their large numbers. The majority of Pakistanis in ORD hail from KHI and LHE where as a majority of Indians in the city originate from HYD and BOM. The state of Illinois also has 3-4 major universities that have a huge international student population consisting of Pakistani, Arab, Iranian and Indian students. This market segment flies back and forth twice a year to see their families back home so another market for QR to tap into through some aggressive advertising on the various campuses. Apart from the Indo-Pak community, there is an adequately sized Iranian community numbering approximately 45,000 that resides in the Chicago area. This is another market segment that QR can easily grab on board its flights because not only do its DOH-IKA flights connect in both directions to the flight timings I propose but also they fly to Mashad-MHD too which is a niche market! With regards to the GCC region of the Middle East comprising of KWI/BAH/DOH/DXB/AUH/MCT, QR should get a fair amount of student, VFR, business and U.S. military traffic as the latter has bases in KWI, BAH and DOH itself. If QR manages to get a UAL code share on the DOH-ORD-DOH route which should not be a problem, this will be to their advantage as U.S. military and diplomatic personnel have to try and use flights with designated U.S. flight numbers as much as possible for their international journeys. DOH now hosts the largest American military base in the Middle East, KWI is the gateway into Iraq for the Americans and in BAH, the U.S. Navy's 5th fleet numbering approximately 6000 officers is based there. There is a huge American military base in ORF (Norfolk, Virginia) and a whole load of U.S. military traffic originates from that airport which I have myself seen when I flew QR from IAD to DOH in late October! This market segment should be the primary focus QR's business class traveller base as well as full Y class paying passenger thus high yield for the airline. Apart from this, there should be decent amount of businessmen traffic that QR can capture bound for DXB/AUH/BOM/DEL/KHI which are major financial centres in the region. With regards to the Far East markets of SIN/KUL/CGK/DPS from ORD via DOH, QR will be offering "the fastest flight" from Chicago to the above mentioned Asian markets via its DOH hub. The o/b transit time in DOH would be approximately 5 hours and inbound it is 3 hours. There is no other airline that can match this and for the time conscious business class passenger in particular bound to SIN/KUL, QR might just end up being the airline of choice. FYI, QR would also become the fastest airline to fly from ORD to KWI/DXB/AUH/BAH/LHE/BOM/DEL via DOH as the transit time in DOH would be 1 hour and inbound 2 hours. This would be a key selling point in attracting Arab, Indian and American businessmen heading to these cities to/from Chicago. For QR to target the Asian businessman as well as holiday/group traffic originating from ORD and its surrounding areas, it must also highlight the fact that by flying them, points can accumulated on either United's Mileage Plus program or Lufthansa's Miles and More frequent flier programs both of which have very powerful customer bases in that region of USA. This is a huge marketing edge that QR has over EY in particular and one that must be capitalized on to the fullest. Why ORD should be flown to before LAX/SFO? Very simple; due to lack of direct competition that exists on the GCC-ORD-PAK/IND route. By May 2009, Emirates will have established themselves with daily flights into LAX and SFO thus once again QR will be playing "catch up" to them. At ORD, there is no EK/EY/KU/GF plus the main advantage that ORD offers for QR is the onward feeder/code share arrangement with UAL that is critical to the route's success. It is cheaper from an operational stand point for QR to fly DOH-ORD with a 2 class B 773ER rather than use a smaller B 772LR for a longer DOH-LAX/SFO flight. Basically, it all boils down to competition which ORD lacks by having no EK/EY/9W/PIA operated flights, a situation which QR needs to take advantage of PRONTO! Can the B 773ER fly nonstop DOH-ORD for QR? Currently, QR's USA network consists of daily nonstop flights each to New York (JFK) and Washington DC (IAD) which are flown using a Boeing 777-300ER. These aircraft seat 335 passengers in a comfortable two class configuration for QR and can also carry approximately 14 tones of cargo. The range of the B 773ER allows it to easily fly long haul nonstop routes as far as DOH-ORD/MIA/YYZ with a full payload and DOH-IAH/DFW with a reduced payload. However, with airlines now keenly looking at their operational costs these days due to the economic crisis and fragile oil prices that has engulfed the world's economy, they would'nt like to especially fly a long haul route using an aircraft that would suffer a payload penalty. From DOH, it would take QR only 1 hour and 15 minutes extra to fly to ORD than their current DOH-JFK/IAD flights so for their B 773ERs that is not a problem at all. Benefits of feeder traffic from Chicago (ORD) from UA for QR? a) ORD is UAL's largest hub airport in USA hence a whole load of flight options are available for QR's passengers to continue on their journey with. b) UAL and QR are close partners and have an extensive code sharing agreement on many domestic U.S. routes and that will be further enhanced by QR's code being put on selected flights flown by UAL from ORD to major American cities such as LAX/SFO/SEA/ORF/DFW/MSP/SAN/PDX/LAS/MKE/IND/DTW/MIA/MCO/BOS/PHLMSY/KCK/SAT. c) QR will also get a SPA for ORD-Canada-ORD flights flown by UA in the same manner it has currently with UA's IAD-Canada-IAD operated flights. FYI, UA flies nonstop from ORD to YYZ/YEG/YVR/YUL/YYC multiple times daily. 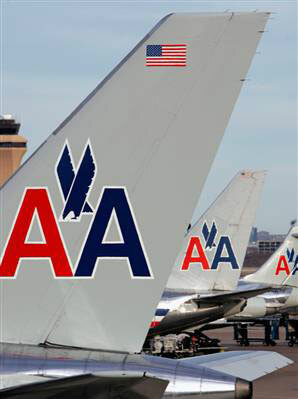 d) EK nor EY have as close relationship with any American carrier as QR has with UA. This business relationship has mutual benefits for each other and its opportunities need to be further explored. e) If UA decides to code share on QR's DOH-ORD flight, it will be a huge financial plus point for QR as that would mean virtual free marketing of its flights due to UA code share which can allow it to get increased sales from popular travel websites such as Orbitz and Expedia. Will obtaining arrival slots between 1600-1700 be a problem at ORD? No it wont as ORD has had a policy of always accomodating new international flights especially if it sees a huge financial value added for the airport and the area's economy as a whole. What the airport's slot coordination committee usually does is that they ask domestic airlines to change their arrival/departure timings of certain domestic flights to accomodate new international one; so on the whole new problem for QR here. If there is a problem with securing B 773ERs in 09, what is the back up plan? This is an interesting question because of the Boeing strikes this year which has pushed back deliveries of all B 777s to all airlines worldwide including QR. This is the main reason why its DOH-IAH flights are being launched on March 30th 09 rather than November 2008.
a) Remove A 346s from HKG and replace it with a 3 class A 332 or A 333 as the route is in any case a huge loss maker for the airline. b) Put the A 346 used for HKG on to nonstop flights to IAD for a year until more B 77Ws get delivered. The main reason for me opting for this is because IAD's economy class loads year round are below 65% hence there is no need for the B 77W to fly this route. 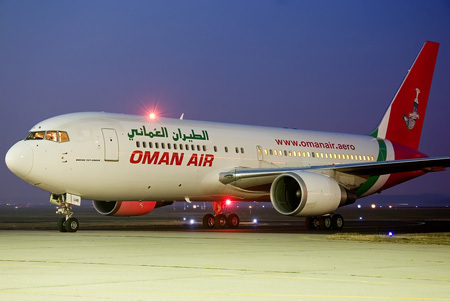 For DOH-IAD, the ideal aircraft for QR to operate is the 259 seater 2 class configured B 772LR! c) The 2 B 77Ws taken out from DOH-IAD should be used for DOH-ORD nonstop flights. When should flights be launched? Ideally, they should be launched from June 2nd 2009 so that QR can straight away go into the peak season with high yielding J and Y class fares. But if thats a problem then latest should be October 26th 2009 i.e. the on set of the IATA Winter 09-10 timetable. Either way, the GDS must have these flights loaded into them 3-4 months prior to the first flight in order to get good advance bookings. As one can make out from the information mentioned above, there is tremendous potential for Qatar Airways to exploit out of the ORD market by launching new daily nonstop flights from its DOH hub next year especially with a code share partnership with United Airlines. The O&D + 6th freedom transit + high yielding business class and cargo belly forms of traffic all exist for the airline to strike gold. All that is needed for the airline's management to do is to think "pro actively" and launch the route in 2009 before Emirates and Etihad Airways establish themselves at ORD. BLR / CMB - daily A 320s from Jan 19th...connects with BLR-LHR in both directions. By looking at the above mentioned flight timings, one feels that this flight will be primarily catering towards O&D traffic between LON & BOM and the only form of feeder traffic that it can obtain is from JFK (with AA 116/141), Manchester and other cities in India. These new developments also confirm that KF will be receiving 2 more A 332s this month. On a personal level, I would really like to see this airline do well on BOM-LHR/SIN/HKG as its in-flight product on board its A 332s is world class especially in the premium cabin. DEL - no more same plane service to YYZ; overall capacity reduced to daily A 320s with night time departures from AUH. BOM - will see same plane service from JFK i.e. 3 weekly A 345s + 3 weekly A 332s + weekly A 320. All flights will be now night time departures from AUH. LHE & ISB - both cities see their weekly seating capacity reduced to daily A 320s with night time departures from AUH. KHI - reduced from double daily flights to daily A 332s only with night time departures from AUH. DME - frequencies increased from 5 weekly to daily i.e. 2 weekly A 320s + 5 weekly A 319s. So finally EY sees the light by getting rid of their ridiculous early morning flights to/from JFK/YYZ. These new flights connect within 2-3 hours via AUH to all of the key Indian and Pakistani major cities in both directions and have decent arrival/departure times to/from JFK/YYZ which should help increase their load factors and hopefully yield too. However, one does not see the point of them offering a same plane A 345 service between JFK and BOM as flying an A 345 between AUH & BOM is a total waste of money due to high operational costs. This begs the question, why didnt they order A 333s for high density flights to KUL/CGK/BOM/DEL/LHE/ISB/DAC/CAI/JED as this is the best aircraft to fly such routes nonstop from AUH. YYZ / ZRH - capacity increased to daily A 333s from mid June. YYZ / MUC - capacity increased to 2 weekly A 333s + 5 weekly B 763ERs from mid June. YYZ / CDG - capacity increased from daily A 333 to daily B 773ER from early June. YYC / FRA - capacity increased from daily B 763ER to daily A 333s from June. FRA - reduced from double daily to 10 weekly B 744s. CDG - reduced from daily to 5 weekly B 744s. TPE - reduced from triple daily to daily flights using a B 773A. HKG - reduced from 36 to 22 flights a week. ATH - reduced from 3 to 2 weekly nonstop flights using a B 772ER. 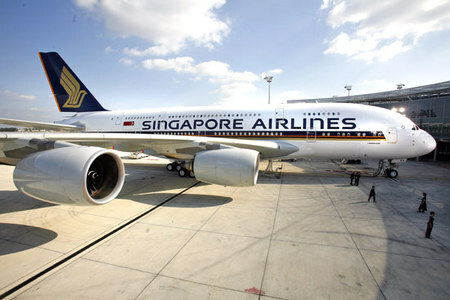 DAC - reduced from daily to 5 weekly flights using an A 333. MXP - reduced from 4 to 3 weekly flights using an A 346. DME - reduced from 4 to 3 weekly flights using an A 346. ZRH - reduced from daily to 5 weekly flights using an A 346. KIX - reduced from triple daily to double daily flights. CPH - reduced from daily to 5 weekly B 744s. MUC - reduced from daily to 4 weekly B 744s. CAN - reduced from double daily to daily flights using an A 333. ICN - reduced from 4 to 3 daily flights. NGO - reduced from 9 weekly to daily flights using an A 346. MAD - reduced from 3 to 2 weekly nonstop flights using a B 744. CCU - reduced from daily to 5 weekly flights. KUL - reduced from triple daily to double daily flights. CGP - flights suspended until Februrary. Emirates will be increasing capacity on its Dubai-London Gatwick route from the on set of the summer 2009 timetable period. Currently it flies a daily B 773ER + daily A 332 + daily B 772ER, however from March 29th 09 onwards it will be operating double daily B 773ERs along side a daily B 772ER. EK also announced that its new upcoming flights to LAX and SFO will be increased to nonstop daily operations from May 1st 2009. Lufthansa has officially revealed that it will be increasing capapcity on its FRA-YYC (Calgary) route with the on the set of the Summer 2009 IATA timetable. Currently, it flies a daily 221 seater A 333 on this sector, however that will be increased to a daily A 343 seating 250 passengers. As far as FRA-BOS is concerned, this route too witnesses a capacity decrease for SU 09 to daily A 333 + daily A 346. Lastly, its FRA-CCS (Caracas) route too witnesses a capacity increase for summer 09 from a daily A 343 to a daily A 346. Turkish Airlines has announced that it will be increasing its Istanbul-Baghdad bound operated flights from 3 to 5 times a week effective January 6th 2009. TK will deploy the A 320 twice a week and the B 738 three times a week each respectively on this new route of theirs. Also the airline tooy announced that it will be launching new nonstop flights from its Istanbul hub to NBO-Nairobi, Kenya effective April 6th 09. TK will be flying their aging Airbus A 310-300 on this sector and flights will operate 3 timea a week on MON/THU/SAT. 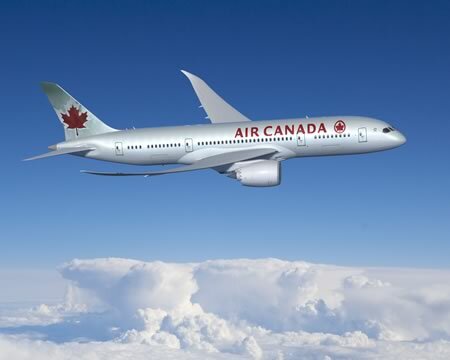 Air Canada will be increasing its flights to Edmonton from London Heathrow but at the same time reducing its Calgary-Heathrow frequency for Summer 2009. According to the latest information available, YEG-LHR will be increased from daily to 9 times a week nonstop using a B 767-300ER where as YYC-LHR will be reduced from double daily to 12 weekly nonstop flights using an A 333 daily + 5 weekly B 763ER. In addition, AC has announced capacity changes on its Montreal-Frankfurt route which will come into effect from Feb 1st. From that date onwards, AC will operate YUL-FRA using a B 777-200LR 4 times a week along side a B 777-300ER 3 times a week where as currently operates this sector using an A 333 daily. LOS - frequencies increased from 5 weekly to daily nonstop flights using a mixture of A 332s and A 333s. ALG - frequencies increased from 4 to 6 weekly flights using an A 332 and A 333 three times a week each respectively. GVA - capacity adjusted from 3 weekly A 332s to 5 weekly A 319s. Emirates and Etihad Airways have both applied to the Italian Government to seek an amendment in the Italy-UAE bilateral agreement that would permit both airline to increase their presence in the Italian market in the face of a possible Alitalia collapse which they hope to exploit. EK has asked for permission to operate to Venice double daily and triple daily to both Rome and Milan respectively. On the other hand, Etihad Airways has asked to for daily flight rights to both Milan and Rome. Both carriers are aiming to largely attract passengers bound to the Far East and Australia via their respective UAE airport hubs. British Airways has disclosed that it will be reducing capacity on its key Heathrow-Hong Kong nonstop from June 2009. Effective that month onwards, BA's triple daily B 744 operated flights will be switched to double daily B 744s + daily B 777-200ERs. BA also officially confirmed that it shall be resuming flights to Saudi Arabia after a gap of 6 years. Its flights will start from March 29th 09 and will fly 5 times a week to Riyadh using a 4 class configured B 772ER where as JED will be served also 5 times a week but using a 3 class B 763ER.